A naturally occurring spherical plant sounds intriguing, doesn’t it? Enter the Marimo, an aquatic plant with a truly extraordinary form. Marimo – also known as Moss Balls – actually comprise of a large colony of green algae that group together and gradually grow into a round dense clump. The plants are so rare that they are only believed to grow naturally in Japan, Iceland, Scotland and Estonia although their enchanting yet bizarre shape has catapulted them into worldwide popularity; a significant number of aquariums around the world boast these curious little green orbs. The development of these colonies however, remains a difficult and time consuming process as the plant consists of innumerable individual algae filaments which steadily grow in a radial, organized manner. 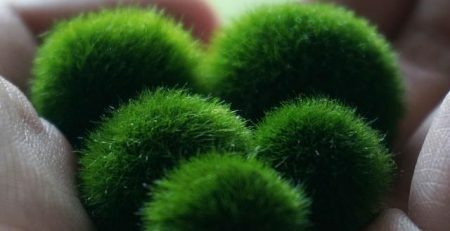 This, coupled with the species’ immense popularity has led to a number of alternative plants – that bear a close resemblance to the Marimo – being sold under the pretense of being genuine Moss Balls. Although they are similar in appearance, original Marimo have very different characteristics from these modified replicas. These are usually balls of other species of algae or Java moss manually forced or even stitched into a round shape – they could even be plastic grids with a mossy outer shell! They grow slow and steady, under 1cm year, in fact. 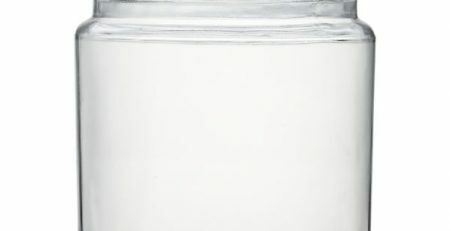 Cool water is preferred, they cannot survive heat for too long. Marimo reproduce by splitting – simply cutting one into two will trigger growth from the inner, dormant region near the center. 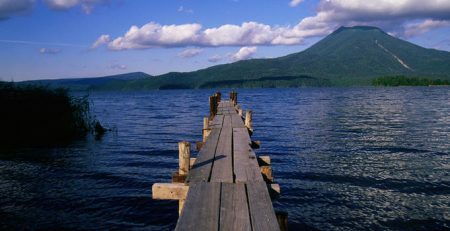 They are completely formed of algae, from surface to core. 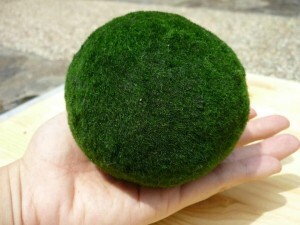 While the above mentioned characteristics are exhibited by all authentic Marimo, it’s possible that a few of the other imitations might also exhibit similar traits.